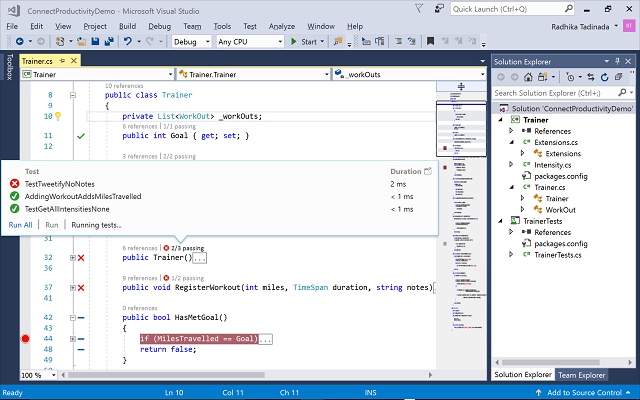 The Community version of Visual Studio 2017 can be downloaded and installed for free. Visual Studio Professional 2017 and Visual Studio Enterprise 2017 are also available for download, but if you want to use them you need to purchase them. System requirements for Visual Studio 2017 can be read on this page. SamLogic Software is a Swedish company that develops software for Windows and for the web. Some products that we have created are the menu designer software CD-Menu Creator, the setup tool Visual Installer and the e-mail / newsletter marketing software MultiMailer.